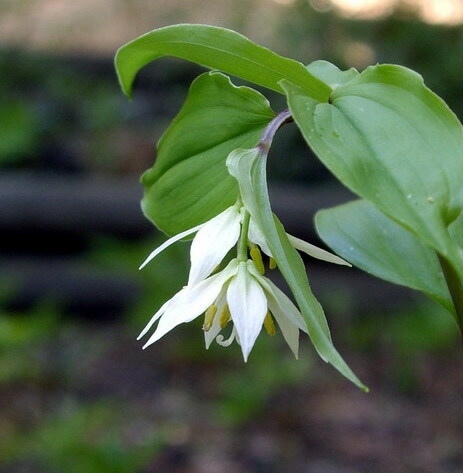 Disporum commonly called Fairy Bell, is a rhizomatous genus once considered to be in the Liliaceae family. Dahlgren moved it to Uvulariaceae and the Angiosperm Phylogeny Group II which did not recognize that family has placed it in an expanded Colchicaceae family. It is sometimes included by others in Convallariaceae. 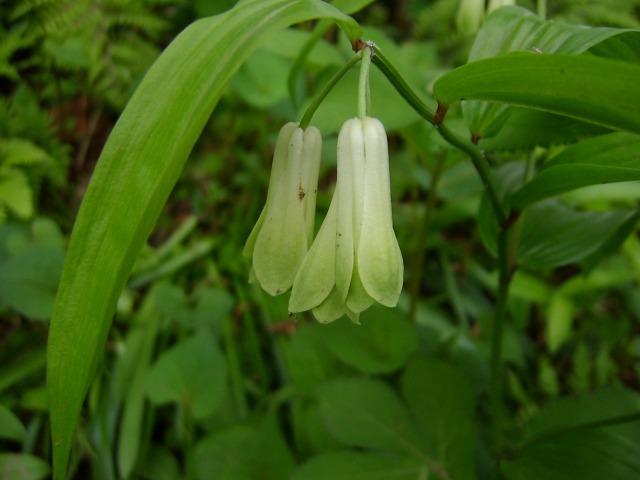 The habits are reminiscent of the related Solomon’s seal, Polygonatum, except the flowers are terminal instead of axillary. The North American species once considered to be in this genus are now split out into the genus Prosartes. Disporum flavens (syn. Disporum sessile ssp. flavens) is native to Korea and China and bears bright yellow terminal flowers on leafy stems shortly after emerging from dormancy in the spring. Photo taken April 2007 by Jay Yourch. The Kew checklist and The Plant List both say the accepted name for this species is Disporum uniflorum but it is still listed as D. flavens in other data bases. Disporum sessile carpets low-elevation woods in Taiwan, Japan, Korea (Cheju and Ullung islands), and Russia (S Kurile Islands and S Sakhalin). It grows to 15-60 cm (6-24"). Pictured in Japan by Mari Kitama in photo 1. 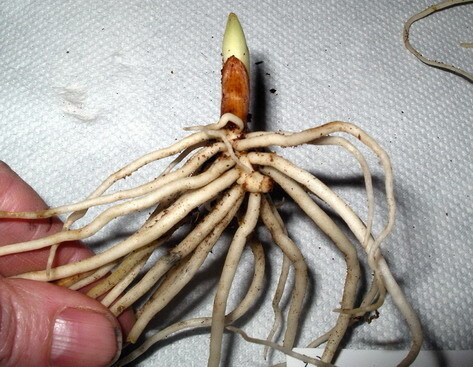 Photo 2 from Paige Woodward shows the rhizome and a shoot. 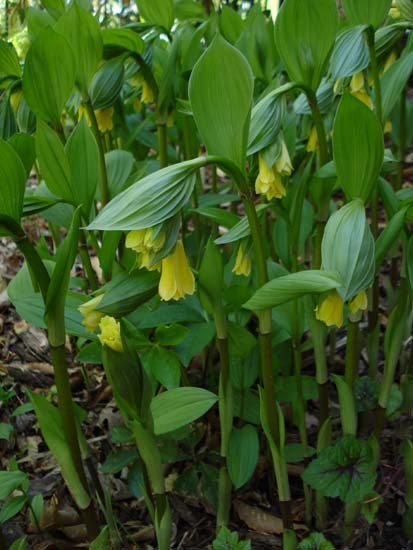 She reports that her plants, of Japanese origin, are hardy to Zone 6, perhaps colder and bloom April to May 1-3 with creamy, tubular, green-mouthed bells at the tip of each stalk. Disporum smilacinum A. Gray forms an airy groundcover in woods at low elevations in Japan, the Korean Peninsula, the Kurile Islands and SE Sakhalin in Russia, and NE Shandong province in China. One or two white bells dangle below the tips of the stalks in April-May; later they become purple-black berries. This species spreads by stolons. Photo by Paige Woodward whose plant is of Japanese origin and grows to 15-35 cm (6-14").